Some of the most useful and frequently evoked metaphors for building a good library for children rest on notions of ‘windows’ and ‘mirrors’. We use this imagery a lot here at Library For All, where we strive to build collections that invite children to see themselves reflected in their literature, but also gain knowledge about the outside world. The allusion to architecture and design thinking is also relevant; just like building a house, building a library is a melange of function and flair – the nexus of practicality and structural integrity with good old-fashioned pizzazz. Also like real estate, budget is a defining factor. So, with a limited budget, and a passion to serve readers a high-quality, diverse library, we find ourselves continually re-examining the question of balance. What are the benefits of mirrors vs windows? Should our library house a 50/50 split, or is some other equation more productive? It's easy to presume that balance always means a 50/50 content split. Some generalist libraries indeed use this simplified development policy across the collection: 50/50 locally published vs globally published; 50/50 fiction vs non-fiction, and so on. The trouble is that this only really works in a vibrant, highly literate environment – the USA or UK, for example, and increasingly in Australia, where there is no problem (other than budget) accessing a range of locally created materials. While all people tell stories, in plenty of communities there is no tradition of publishing, or no means of production or distribution to circulate locally published books. In others, the published stories only represent select voices from a diverse community. The books provided in these communities will be purchased, or donated, from elsewhere. This means that when children access story books or school readers, they are only ever looking through windows; reading about faraway landscapes, about animals they’ve never encountered, told by narrators who look nothing like them. For this reason, when Library For All begins curating a collection to serve a given community a 50/50 split may not actually be fair. Take the current PNG partnership, for example. PNG readers, where they could access book collections at all, had more than enough windows. LFA therefore set out to make more mirrors, resulting in a PNG Library that’s currently more like 80/20, with the 20% of ‘windows’ populated by books that are still of broad general interest, not culturally-exclusive. 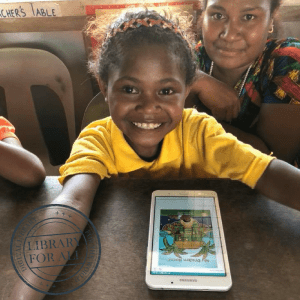 LFA asked (and continues to ask) what people in PNG wanted to read, and combines this information with non-identifiable data about how readers interact with our books collected via our app. These kinds of analytics, surveys and interactions with readers are a normal part of the publishing industry’s market response in countries with strong literacy cultures. In peripheral markets, readers are too often expected to be grateful for any-old-books that come their way, which does little to encourage excitement about reading, or writing. As readers begin to connect the experience of reading with pleasure, as well as education, thanks to greater identification with the books they are reading, there can be a flow-on effect of more locally created stories. 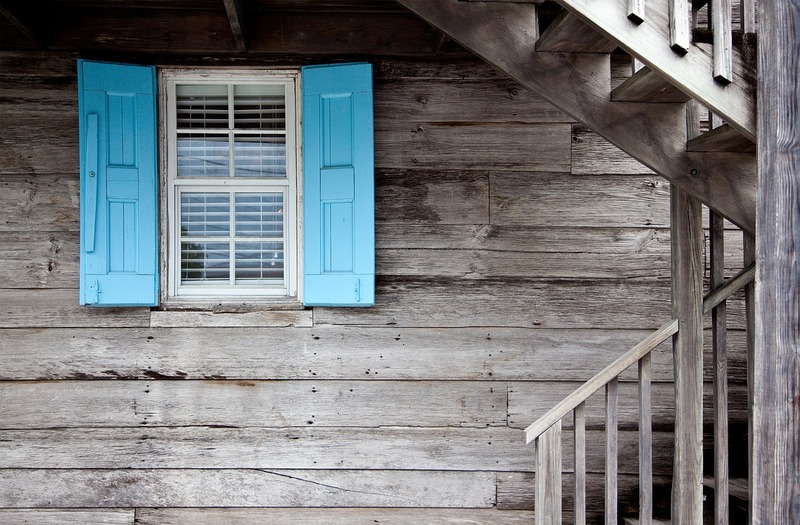 None of this needs to be at the exclusion of a good supply of windows; windows offer another kind of balance, helping us understand the plight of people living elsewhere, boosting our general knowledge (especially via non-fiction texts) and offering role models. But, like a lot of other struggles for 'equality', it's often crucial to swing the pendulum all the way to one side for awhile before it can comfortably settle in the middle. LFA also consciously breaks this metaphor down further by examining the balance of windows and mirrors within our country libraries. So, if step one is to ensure there are books written by PNG authors, for PNG readers, about PNG topics (that is, more mirrors) we also have a responsibility to ensure we don’t accidentally top the building off with a glass ceiling. As we grow more aware of the importance of multiple voices, diverse perspectives and representation across and between all the world’s cultural communities, so too we have to make sure our PNG-specific content is fully representative. Our mirrors should reflect the experiences of men and women, from a range of towns and villages, with a variety of challenges and success stories. No cultural space is homogenous. The same applies to all our country-specific books, as well as our globally accessible collections. This also applies to linguistic homogeneity. UNESCO research tell us that children almost always learn better when educated in their mother tongue, at least in the early years. Not only does literacy advance more quickly because of the linkages between oral and written language, parents are more likely to get involved in their child's learning. One of the benefits of the LFA book creation system is the relative ease with which books can be translated and re-published. Our aim is to make our books available in multiple languages, including privileged national languages and local tongues. Books for kids are powerful vehicles for social reform; sometimes this involves didactic content, but the mere encouragement of a love of reading creates a future generation of thinkers and potential agents of change. Research shows that literacy helps alleviate poverty. Storytelling also has countless flow-on impacts in addition to literacy, like identity formation, cross-cultural understanding and aspiration. How many of the world's social ills could be ameliorated by giving the world access to a quality range of windows AND mirrors via an engaging free library for kids?